Looking for a quick and easy recipe for your vegan dinner party? We’ve got you covered with the perfect easy vegan recipe from Jazzy Vegetarian Laura Theodore’s new book Vegan-Ease! Chef’s Note: For an oil-free dressing, omit the olive oil and proceed with the recipe as directed. 1. Put all of the dressing ingredients in a small bowl and whisk briskly to emulsify. 2. Put all of the salad ingredients in a medium-sized bowl. Pour in the dressing and gently stir to combine. Season with more salt, to taste. Cover and refrigerate 30 to 60 minutes before serving. To serve as a fancy first course, spoon into pretty glasses, displayed on a decorative plate. 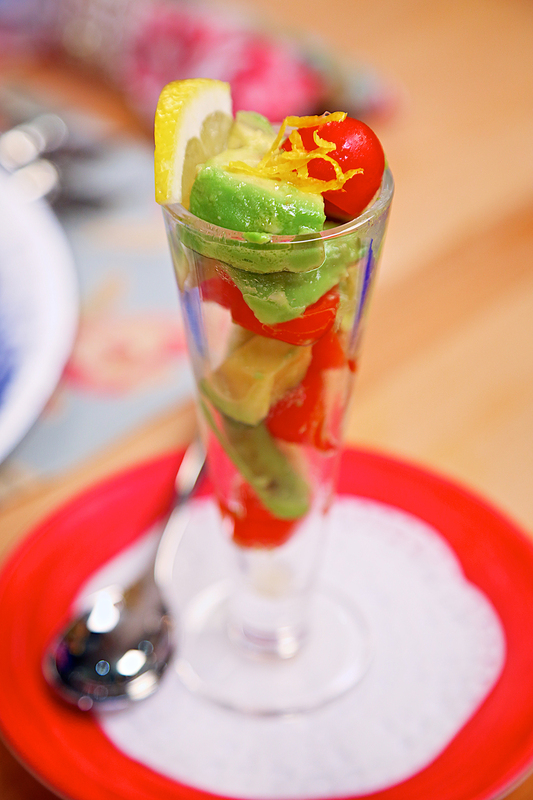 Let us know what you think of this easy vegan recipe: Avocado Salad Parfait!